Meet your new favorite travel companion. 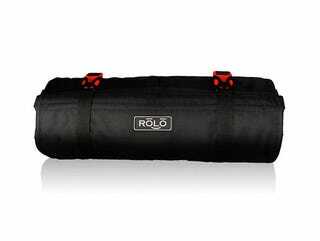 The Rolo Travel Bag takes the mess out of packing by letting you simply roll up your clothing in organized compartments. This ingenious travel bag normally runs for $60, but Kotaku readers can grab one for 25% off + free shipping, just $45. The Rolo is perfect even for the messiest travelers, offering multiple mesh pockets for easy packing and organization. There’s a 360-degree hanging hook, so the Rolo also serves as your portable closet wherever you are. It’s made of waterproof nylon so your clothes will stay clean and dry, making it perfect for camping or outdoor adventures. Rolo is small enough to carry on an airplane, making it a go-to for any travel situation. Shipping to the US is included, and should take 1-2 weeks to arrive. Don’t miss out on this limited time offer - get your Rolo Travel Bag for 25% off today.